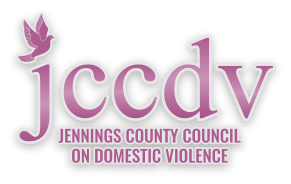 Jennings County Council on Domestic Violence - What is Stalking? Stalking is defined by law by the federal government. When an abuser acts in such a way as to intentionally create a fear of harm or death for the victim, that is stalking. This could take the form of a fear of harm, injury or death for themselves, a relative, or any third party. Abusers who use stalking to terrorize and threaten create substantial emotional distress for their victims, family members and third parties. A 2011 survey found 5.1 million women and 2.4 million men had been stalked the previous year. 1 in every 6 U.S. women and 1 out of every 19 U.S. men have been stalked in their lifetime. Nearly 3 out of 4 victims of stalking know their stalkers in some capacity. The most common relationship between the victim and perpetrator is a current or former intimate partner. People aged 18-24 have the highest rate of stalking victimization. Although stalking is a crime in all 50 states, less than 1/3 of states classify stalking as a felony if it is a first offense, leaving stalking victims without protections afforded to victims of other violent crimes. Stalking is often an indicator of other forms of violence. 81% of women who were stalked by a current or former husband or cohabitating partner were also physically assaulted by that partner; 31% of women were sexually assaulted. Abusers use stalking to intimidate and control their victims. 76% of women murdered by an intimate partner were stalked first; 85% of women who survived murder attempts were stalked. 89% of femicide victims who had been physically assaulted before their murder were also stalked in the last year prior to their murder. 54% of femicide victims reported stalking to the police before they were killed by their stalkers. 1 in 7 stalking victims has been forced to move as a result of their victimization. 1 in 8 stalking victims has reported losing work because of the stalking. More than half of these victims reported losing 5 or more work days. Stalking victims suffer much higher rates of depression, anxiety, insomnia, and social dysfunction than people in the general population. 86% of victims surveyed reported their personalities had changed as a result of being stalked. 37% victims of stalking fulfill all the diagnostic criteria for post-traumatic stress disorder; an additional 18% fulfilled all but one diagnostic criteria. 1 in 4 stalking victims contemplate suicide.